Songwriting Advice: Write Songs with Your Bandmates! Expert Advice: Write Songs with Your Bandmates! Many of the greatest songs have been written when two or more artists collaborate. How does such a collaboration happen? What occurs at a fruitful songwriting session? And what can happen afterward? There’s more to it than meets the eye and ear. For all the ins and outs about collaboration––particularly among bandmates––check out what multi-instrumentalist songwriter, performer, journalist and educator Robbie Gennet has to tell you. Discuss publishing. How do you split up the pie before it exists? We all know of band members who played or sang on Top 10 hits but don’t see any of the publishing income. So be aware that money discussions go hand in hand with the publishing conversation. There are many scenarios that bands implement, sometimes for better or worse. Much depends on who is writing the songs and how much they agree to split with their bandmates. There is no “normal” to describe a publishing agreement. But if you happen to have a great songwriter in the band, don’t look a gift horse in the mouth. Every band is one single away from infamy these days. Co-write. You may be a great solitary songwriter, and that’s fantastic for both you and the group. By all means, bring every great song you’ve got to your band. But if it’s all about your songs, the other members might feel that the band is really only about you. The easy way to assuage possible tensions is to co-write with each and every band member. Do group writing sessions. Base song ideas off of a drum groove, a bass riff, a keyboard hook, someone’s catch phrase, whatever. Whether or not you write a hit, you will build camaraderie and respect, which is so important in a band setting. You never know where that hit song is going to come from! Co-listen. Jam with your bandmates and listen to one another. Don’t get in your bubble-world onstage and zone out. While you’re playing, look over at each bandmate and connect. Consciously engage and push the groove toward new places. Jamming together is the most organic form of co-writing and often times the random jams will yield some amazing parts to write songs with. Hone your craft and let the music speak for itself. Decide on your sound. Every band has influences, some stronger than others.Alice in Chains influenced a whole bunch of bands in their wake, but without Black Sabbath,Alice in Chains might not have existed as such. What you “sound like” can come from a diverse range of sources, including certain instruments. Imagine the Doors without Ray Manzarek’s Vox organ andRhodes piano. No matter what your sound is, make sure you are not cloning someone else. It’s one thing to be influenced by a band or performer. It’s another thing to try to sound exactly like them. If you push yourself to grow, however, you’ll never stagnate long enough to be just one thing. Take lessons. The best songwriters and musicians never stop learning, and many take lessons from a variety of teachers throughout their careers. In most bands, the singer either sells it or sinks it, so vocal lessons are a must. Having the “cool frontman look” is great, but blowing audiences away with your vocals is way better. Drummers are the foundation of the band and a mediocre drummer can undermine the music. Bassists, guitarists, keyboard players, all will benefit––and will be able to contribute more to your band’s collaborations––by keeping up their abilities and increasing their knowledge base. What each individual brings to the band collaboration makes a stronger collective whole. That goes for harmony vocals too. Vocalize. Why practice the hell out of your instruments and leave the harmony vocals to chance? Big mistake. Figure out who your singers are in the band and put them to work. Song ideas may develop from that. If someone is not a singer but can manage some group choruses or shouts, put them in the mix but know their limits. Everyone in the band can be a better singer than they are today. Vocal lessons help tremendously, but a band should sing with one another on a regular basis. Having your vocal chops together for the live show will make your songs sound that much better live. Why underperform a great song in your repertoire? Or any song, for that matter? Study songwriting. It’s one thing to know who your favorite bands or instrumentalists are, but who do you admire as a songwriter? What songs move you so much that you listen to them or play them hundreds of times? 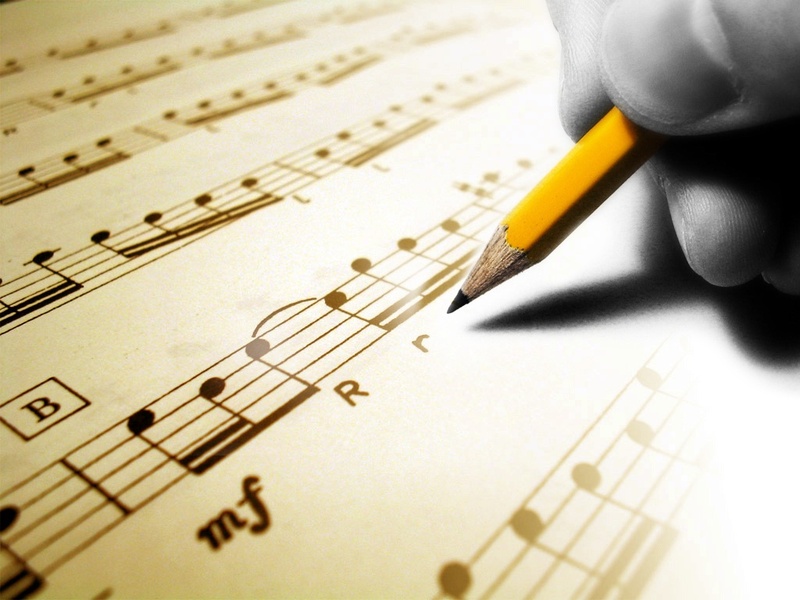 Examining songwriters will help immeasurably in your own songwriting progress. Lyrics are a craft unto themselves, as are melodies and chord progressions. Familiarizing yourself with an ever-widening variety of chords and changes will give depth to your songwriting. As you absorb new ideas, your songwriting will evolve. There’s plenty of info available from insightful people who excel at examining what makes a song really click. Find those people and soak up everything they can offer. Set goals, be proactive. You have to dream big to get big; it takes hard work and planning to make something happen with your music. By setting both short- and long-term goals, a band can work with focus and organization to achieve the kind of results that matter: great songs and recordings, great live shows and great pictures and videos too. Everyone in the band should have tasks and be accountable for some of the action. Everyone should be expected to bring something to the collaboration. No freeloaders without skin in the game, unless you want resentments to build by those handling most of the work. If you are in a band, you are running a professional business, so act like it! To be the best, you must do your best. Robbie Gennet is a multi-instrumentalist, songwriter, performer, journalist and educator living inLos Angeles,CA. His book/DVD, The Key of One, provides a notation-free approach to understanding music and a great foundation for your musical evolution. Find it at http://thekeyofone.com and at all major music retailers.